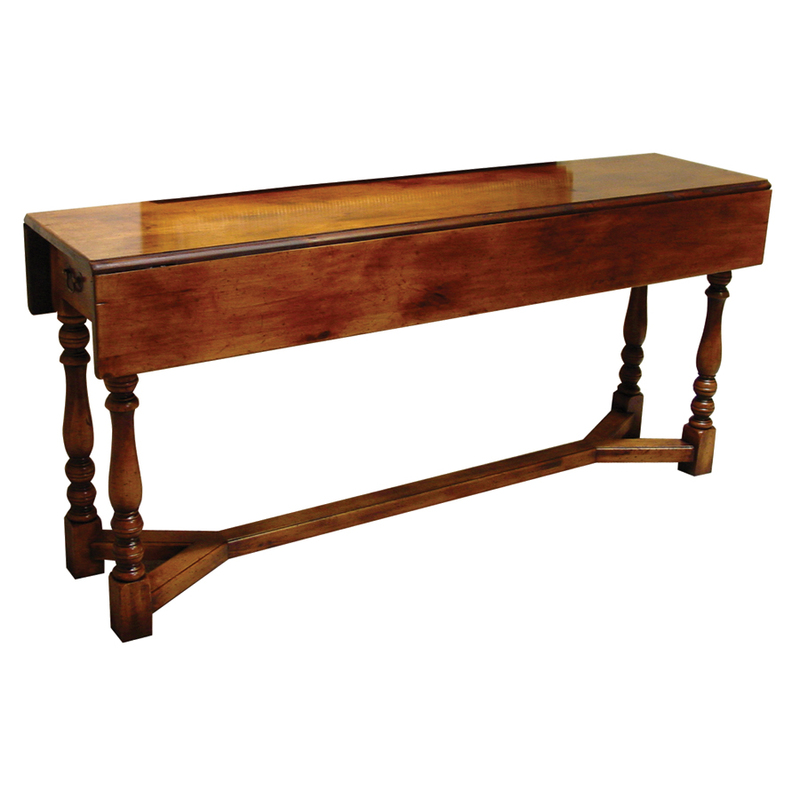 Mahogany, with rosewood boarder demi lune console table with Hepplewhite style tapered legs. 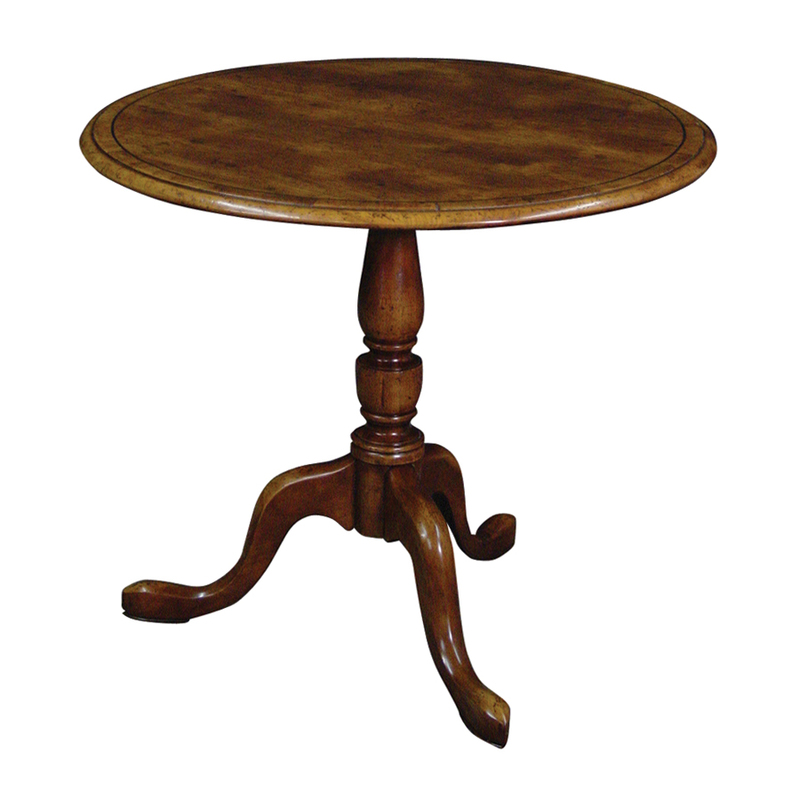 Options: There are no other options for this item. 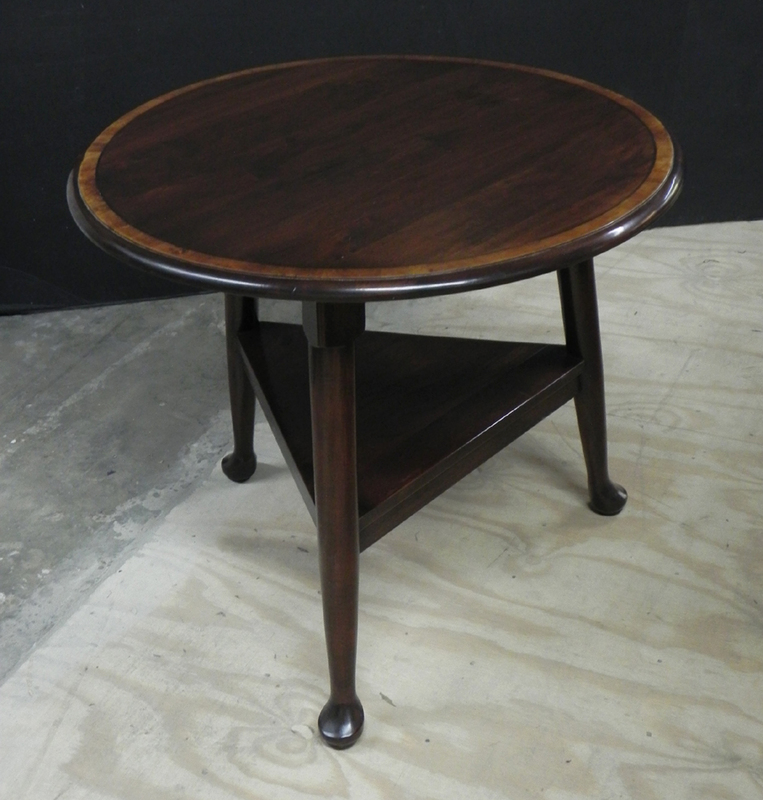 Antique cherry finish, cross banded tilt top table. 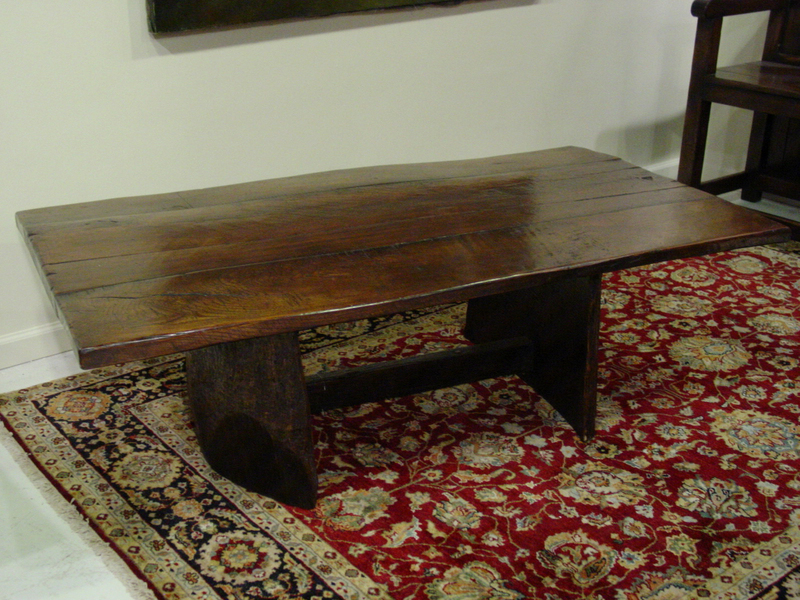 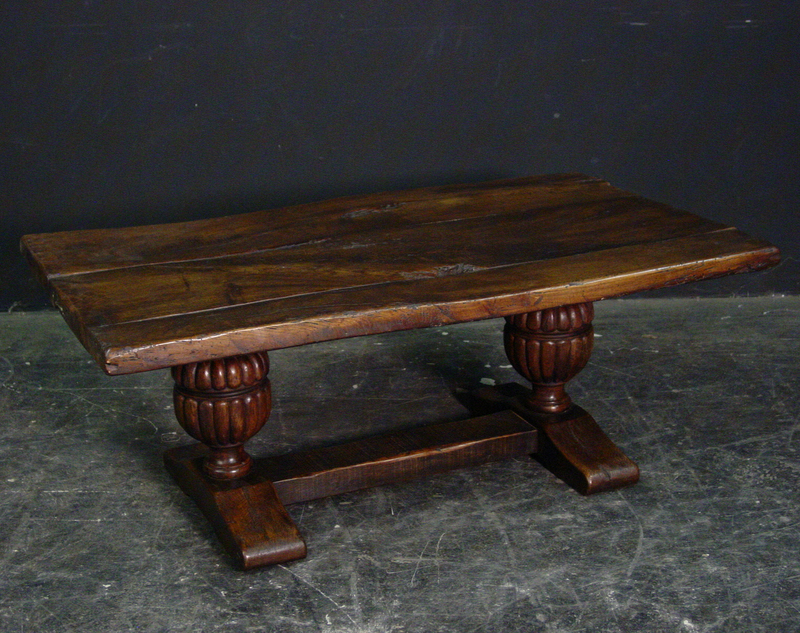 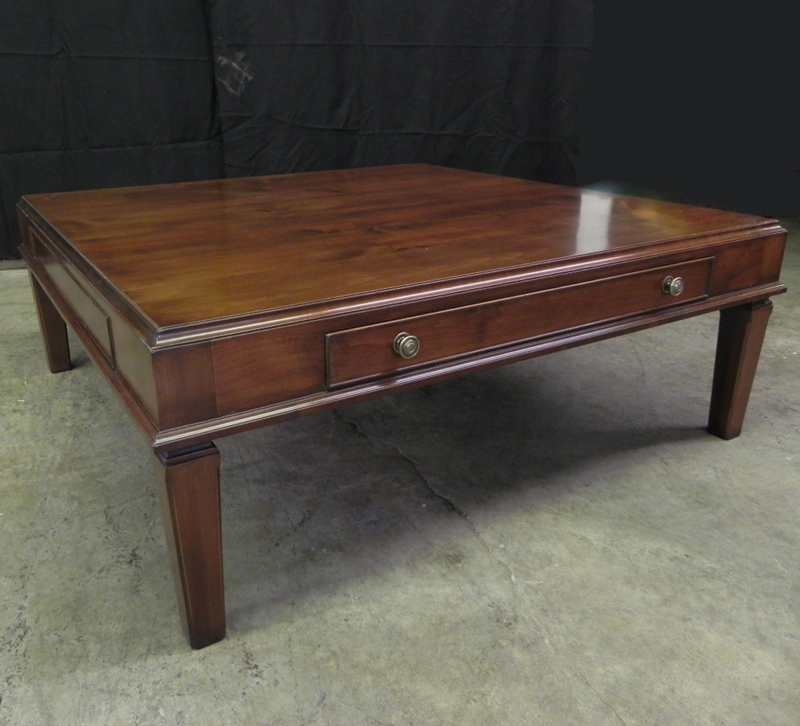 Antique cherry finish fixed tray top coffee table. 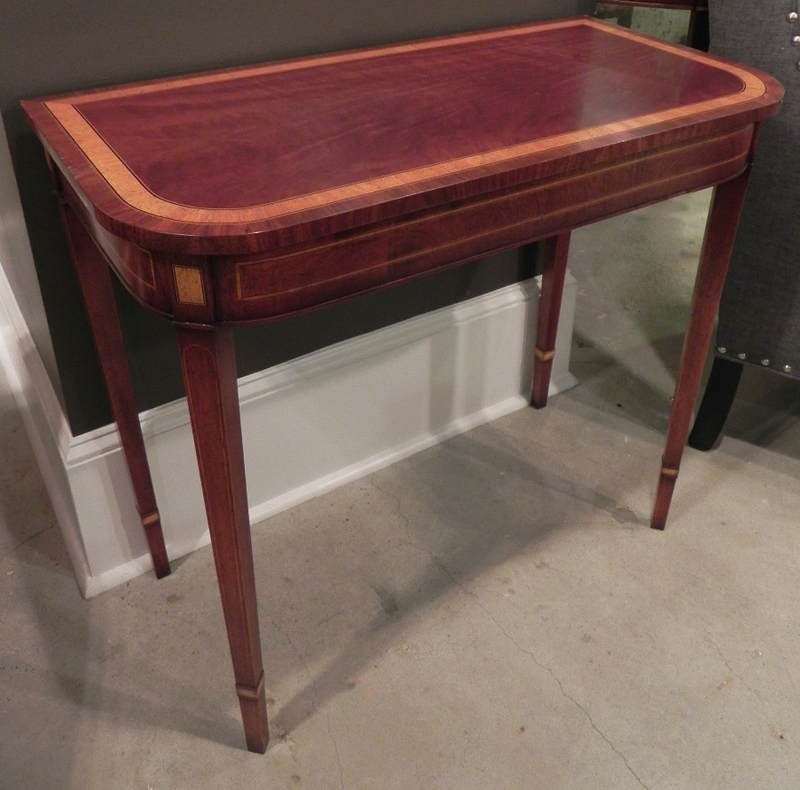 Antique cherry finish, cross banded tapered leg two drawer sofa table. 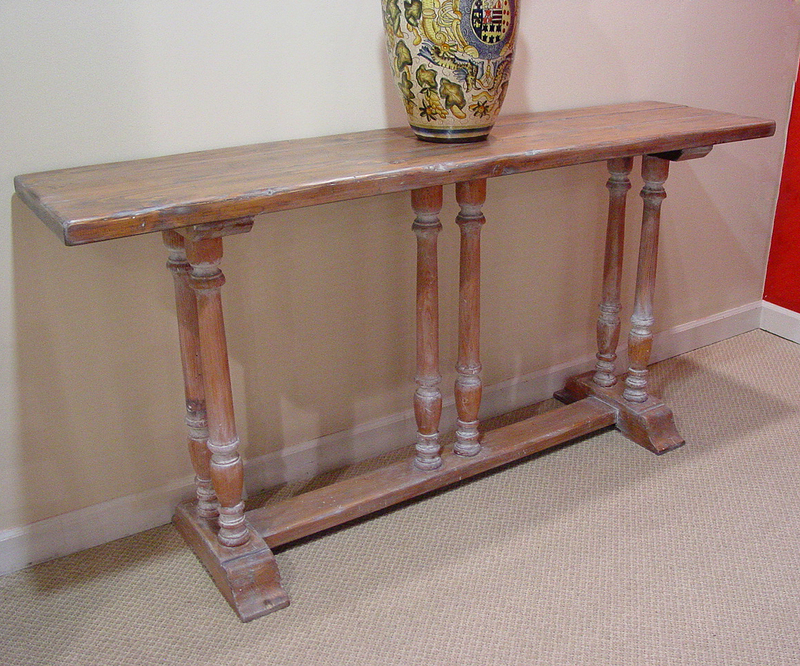 Antiqued pine finish, turned leg sofa table with a white wash finish. 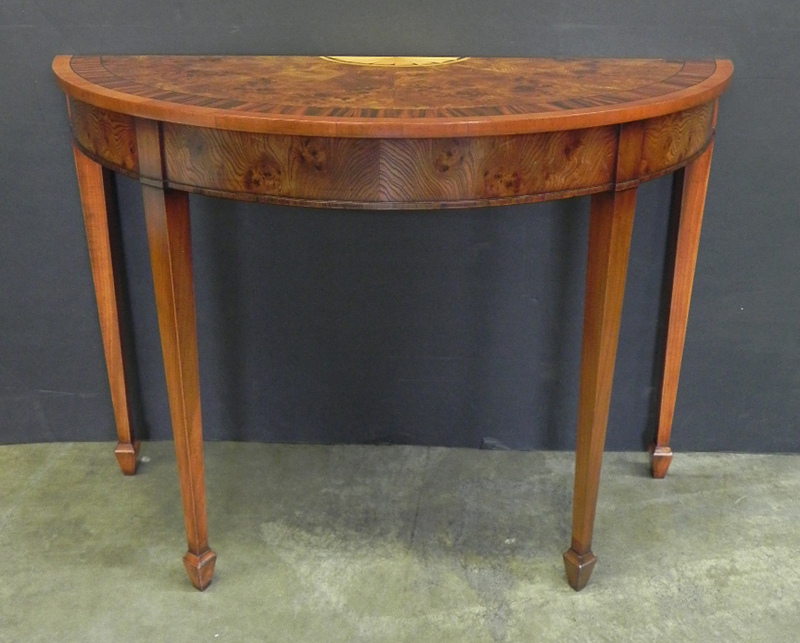 Burl walnut veneer, small fan inlaid demi lune console table. 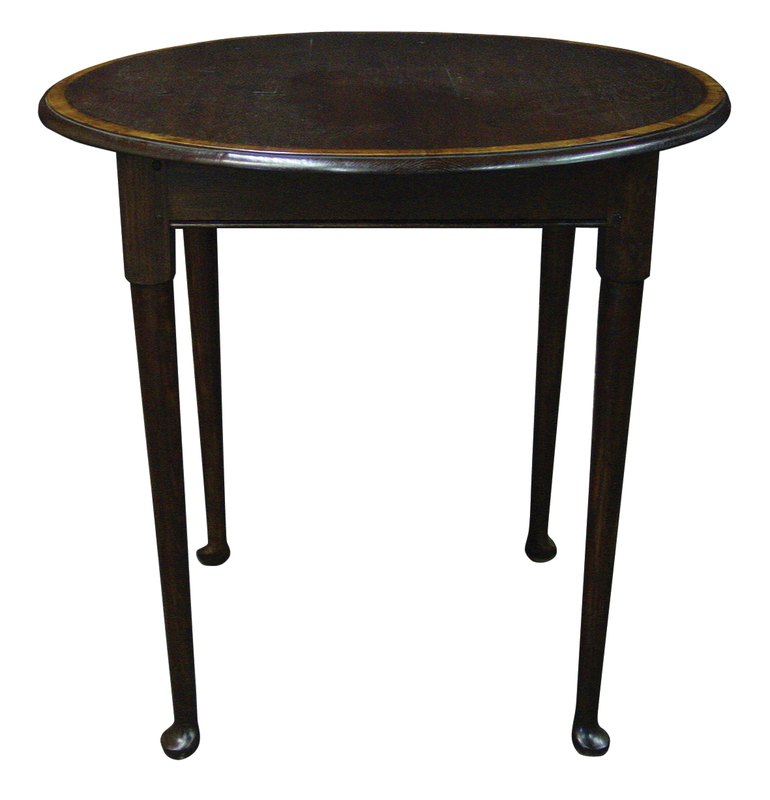 This demi lune table is hand made in England by skilled craftsman. 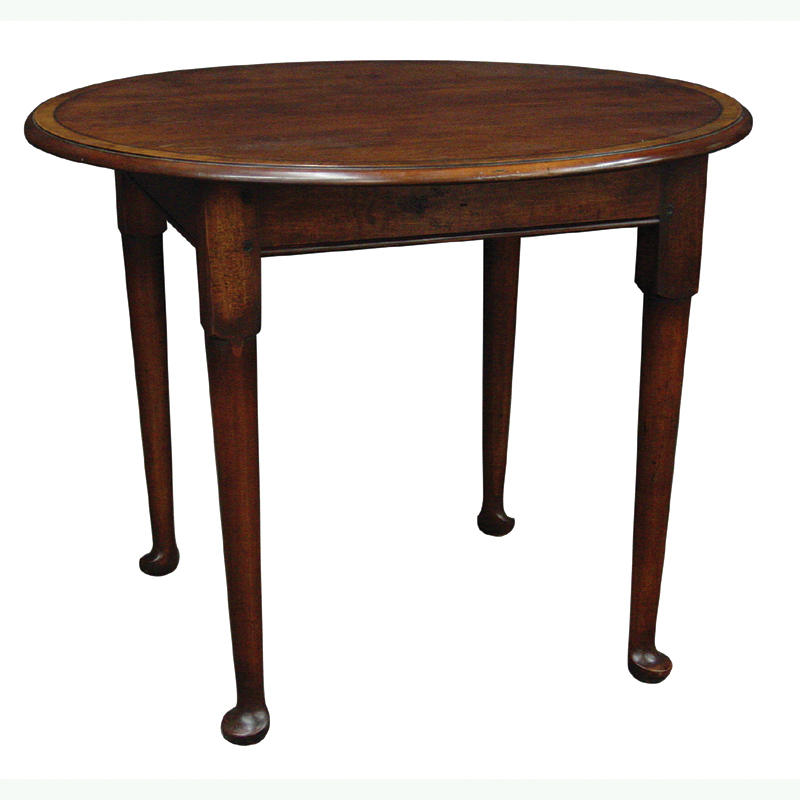 This beautifully crafted demi lune table, shown in our mid cherry finish is from our HIGHGATE COLLECTION. 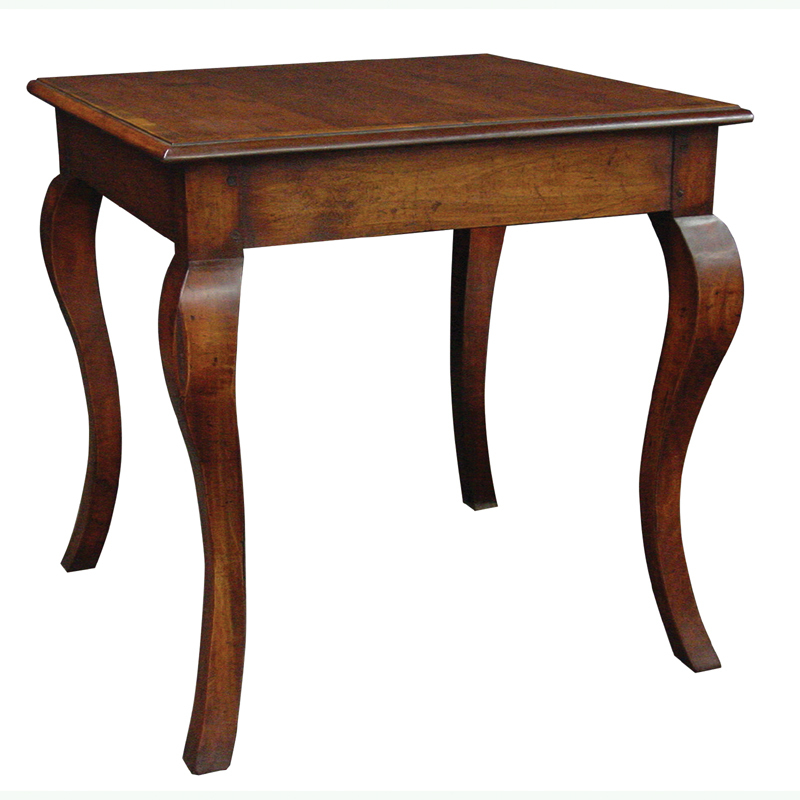 This beautifully crafted game table with drawer, shown in our mid cherry finish is from our HIGHGATE COLLECTION. 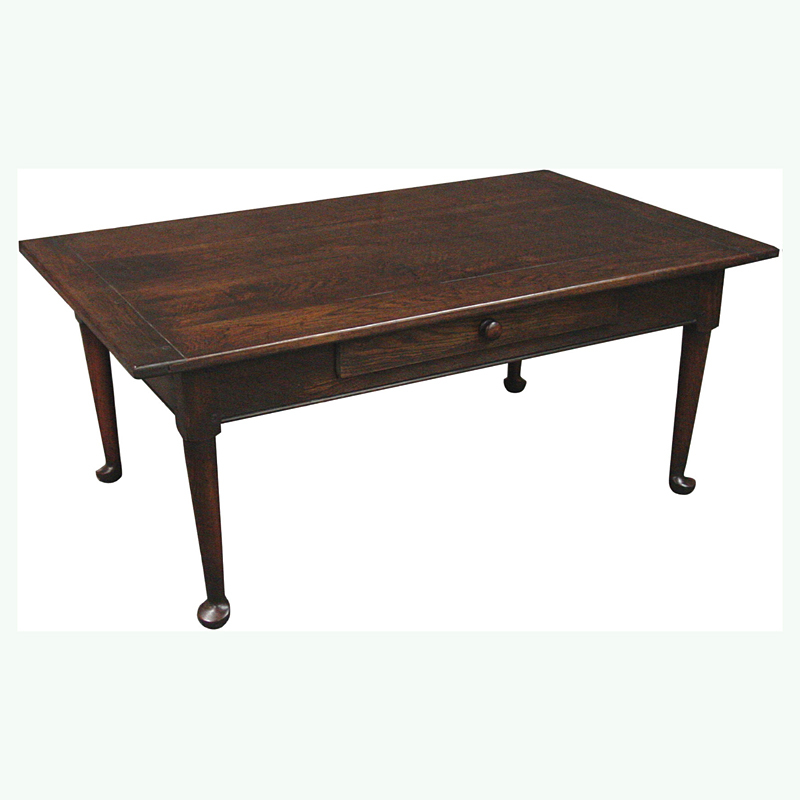 This beautifully crafted 3 drawer sofa table with brass toe caps, shown in our mid cherry finish is from our HIGHGATE COLLECTION. 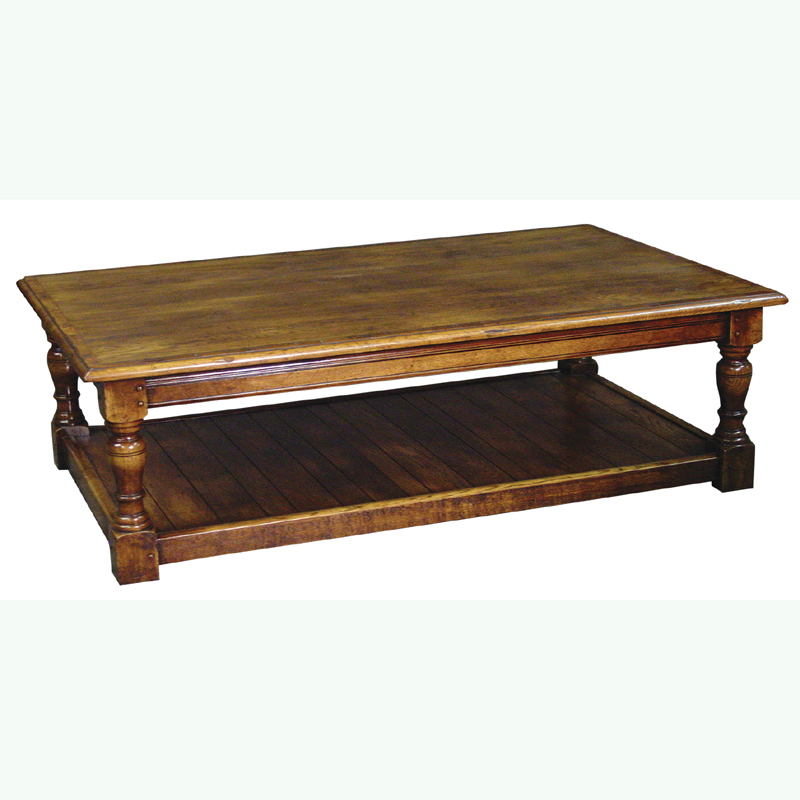 This beautifully crafted coffee table with drawer, shown in our mid cherry finish is from our HIGHGATE COLLECTION. 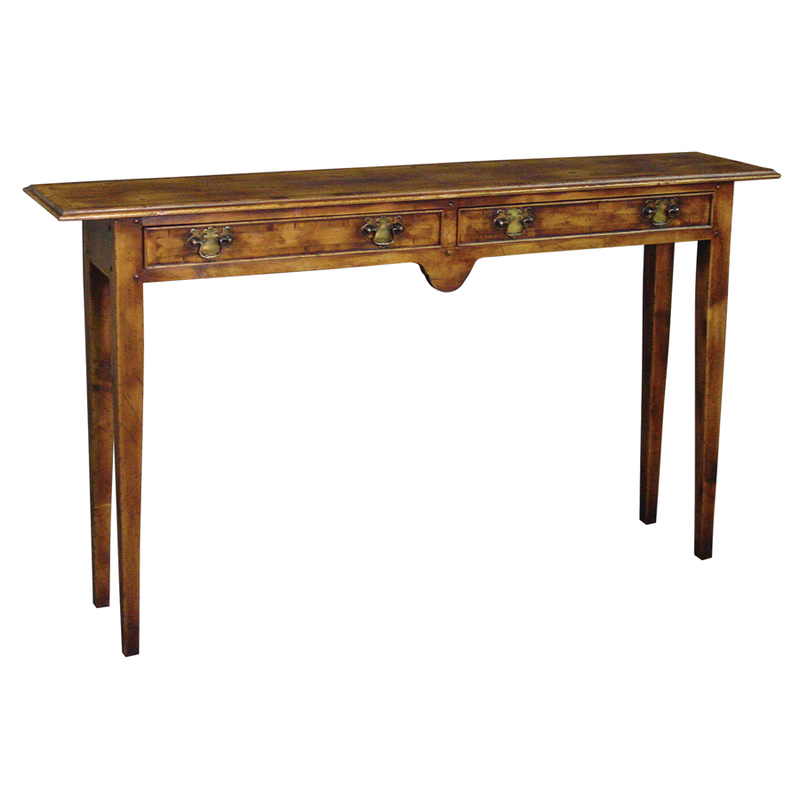 Mahogany, satin & rosewood inlaid D shaped console table. 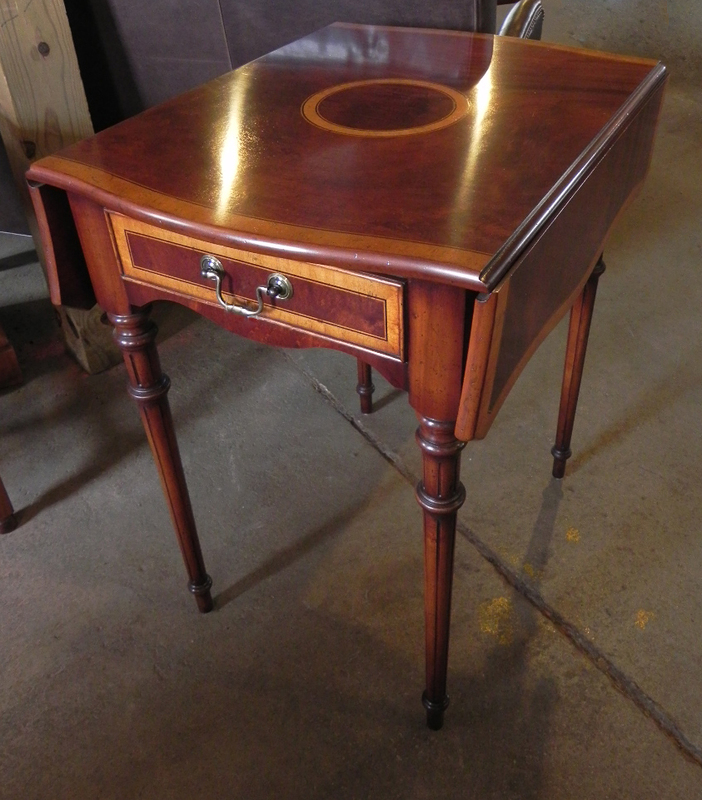 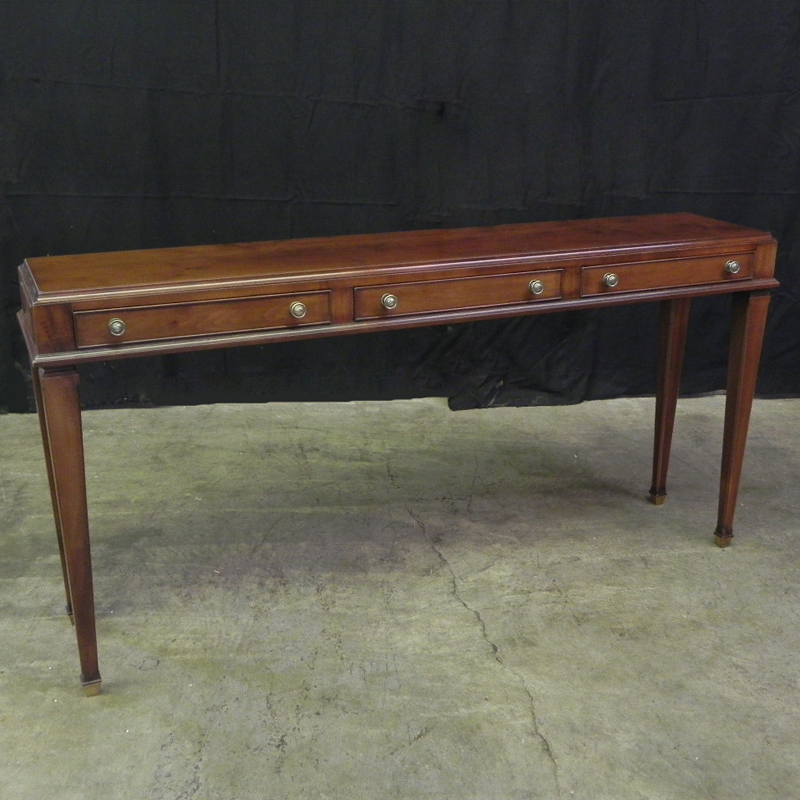 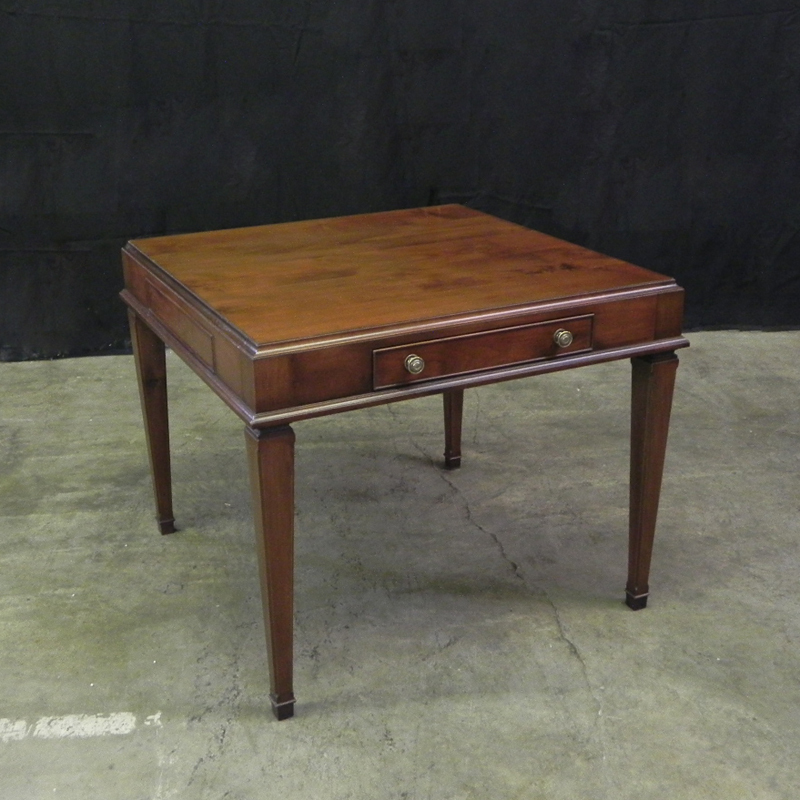 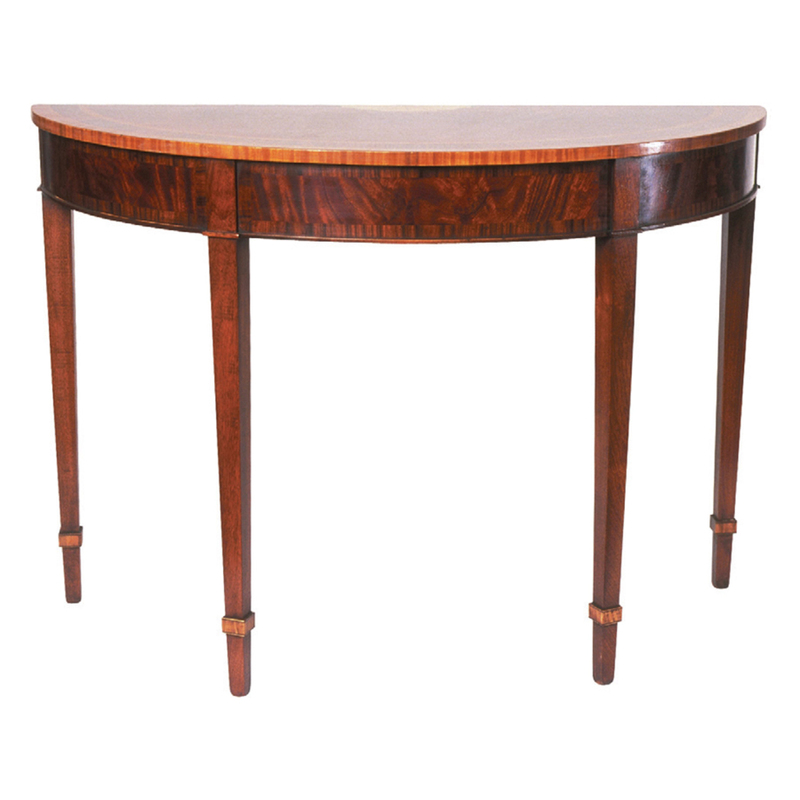 Mahogany, satin banded & inlaid shaped top Pembroke table with fluted legs. 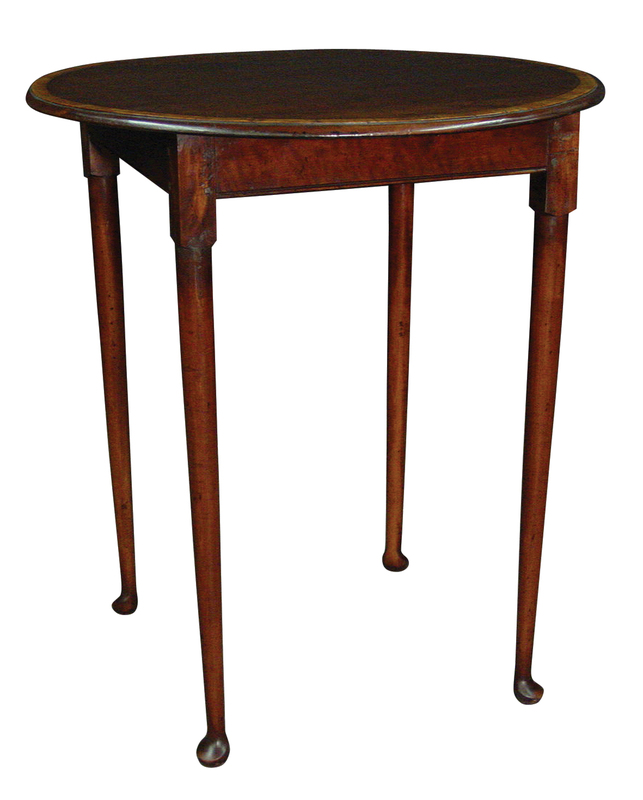 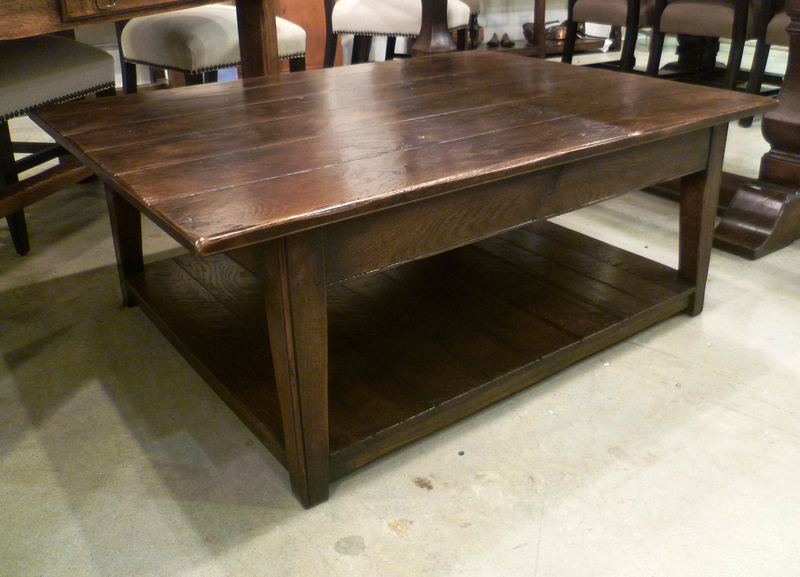 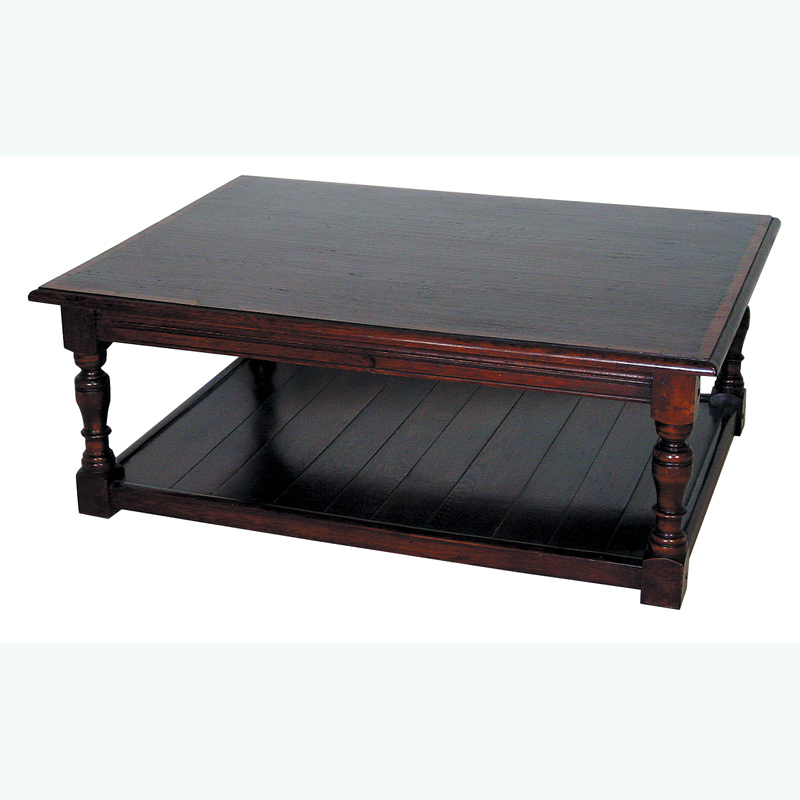 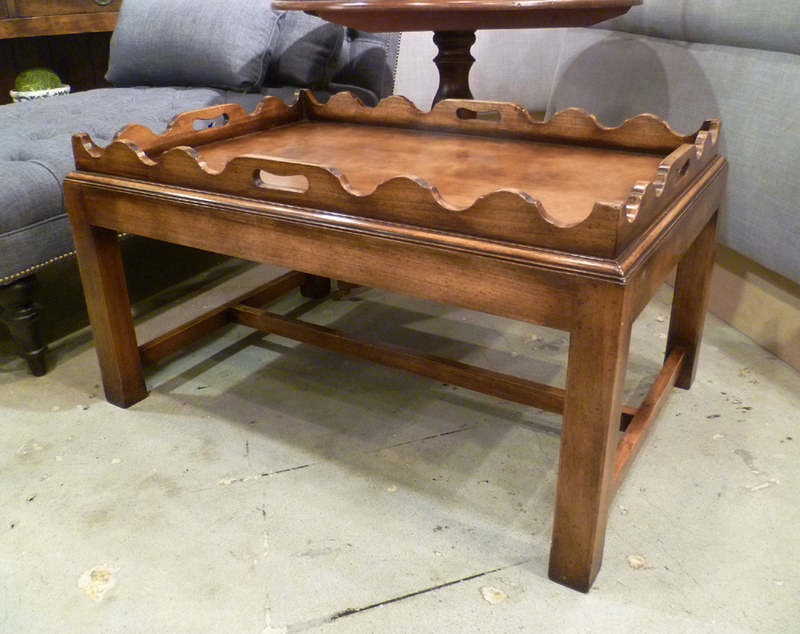 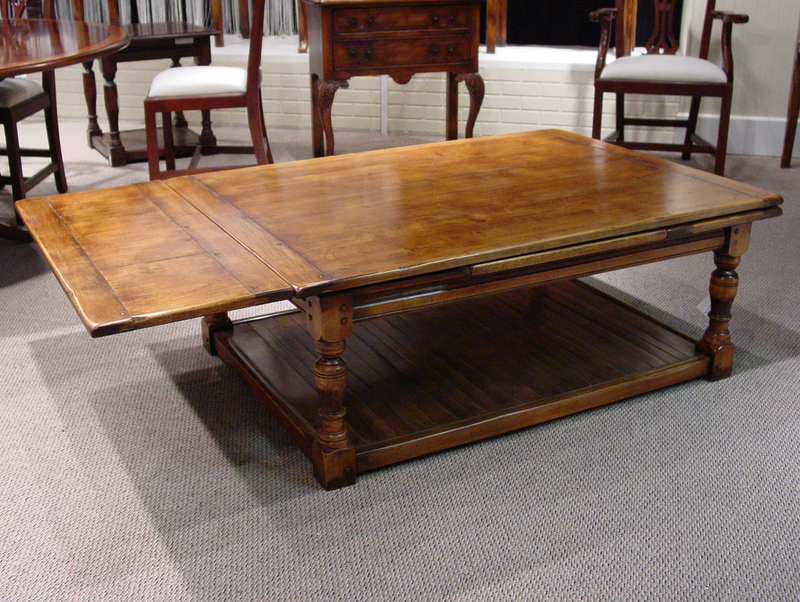 This Pembroke table is hand made in England by skilled craftsman. 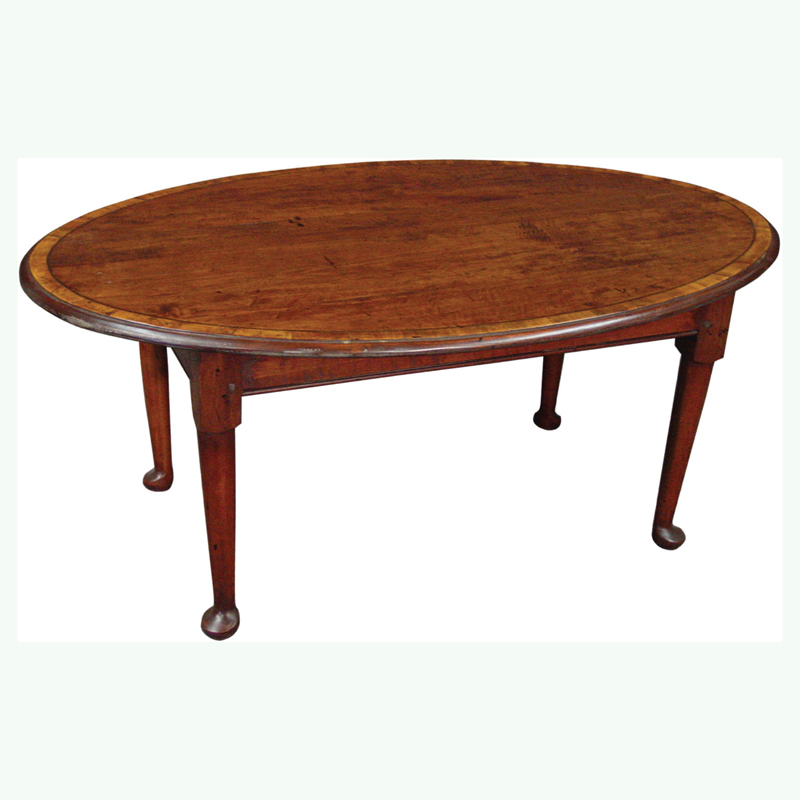 Medium oak finish, yew wood banded 38" round counter height pad foot table. 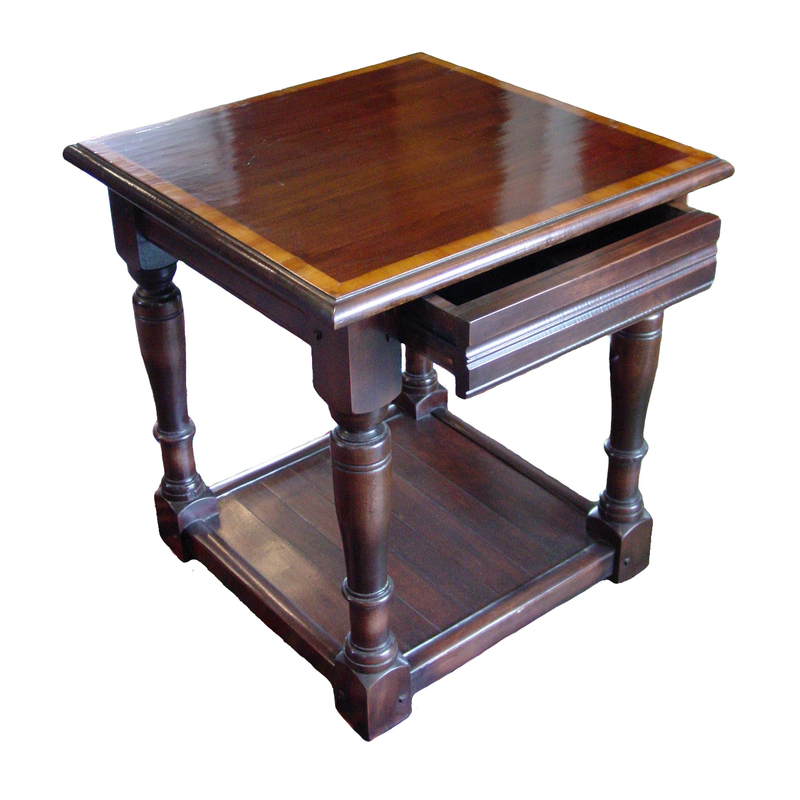 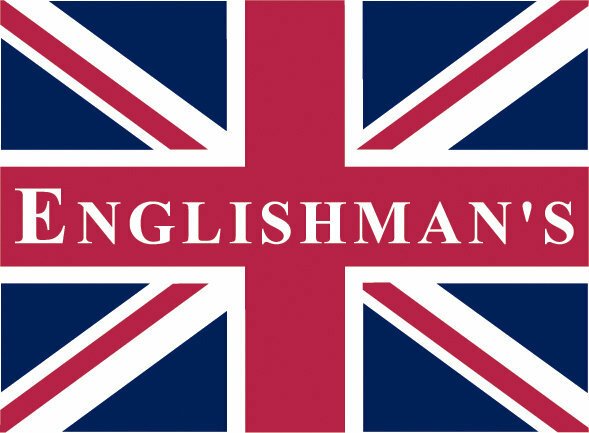 This counter height is hand made in England by skilled craftsman. 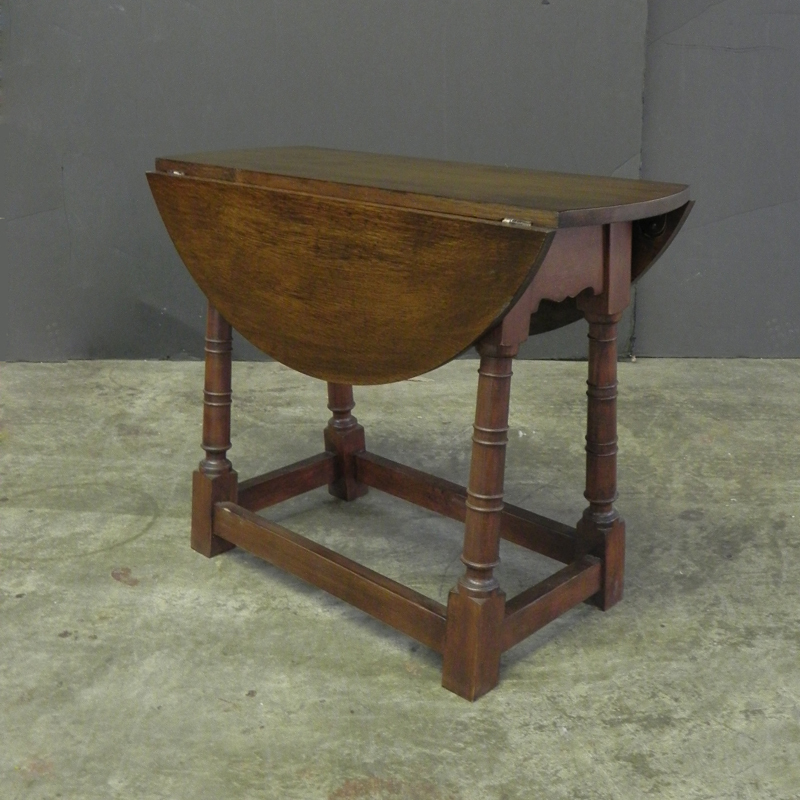 Medium oak finish drop leaf table on turned leg with a twist top. 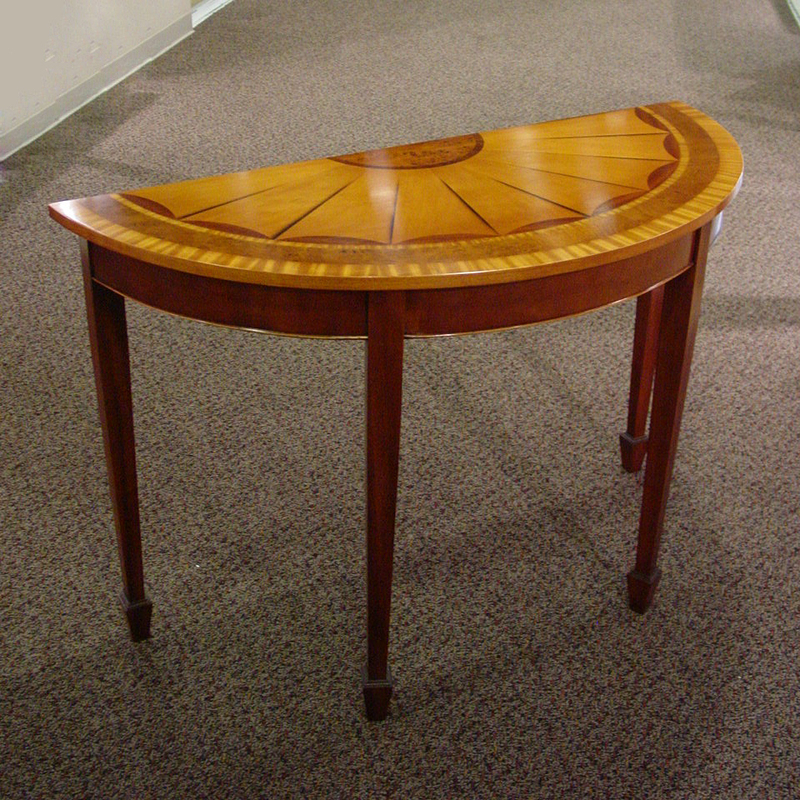 The 2 leaves fold up and the top turns to make a circle. 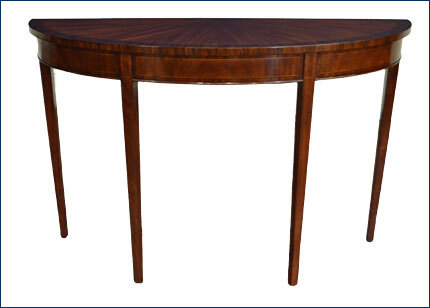 Mid cherry finish, yew wood banded 38" round bar height pad foot leg table. 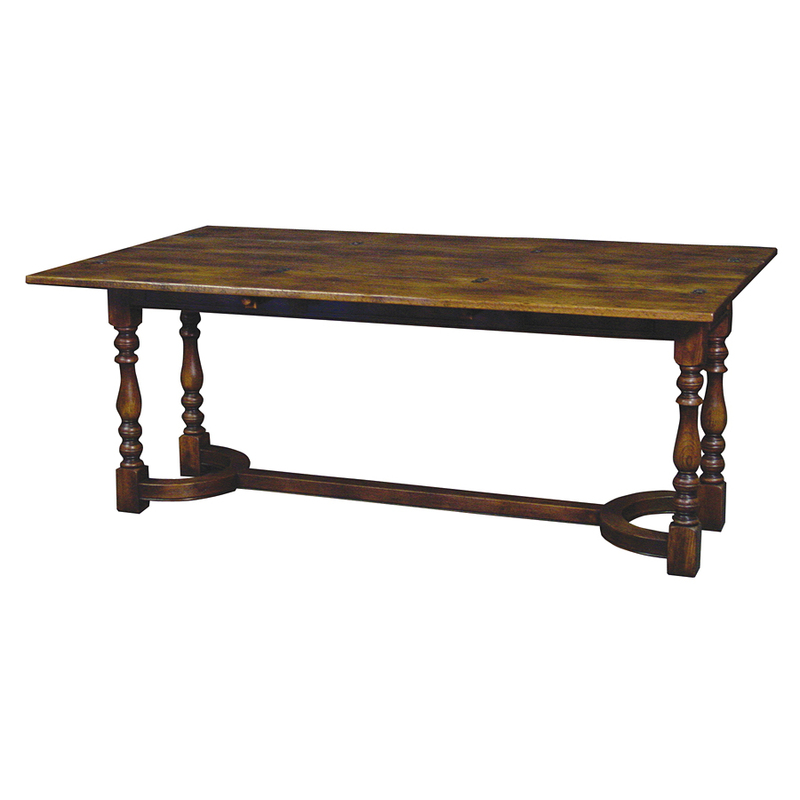 This bar height is hand made in England by skilled craftsman. 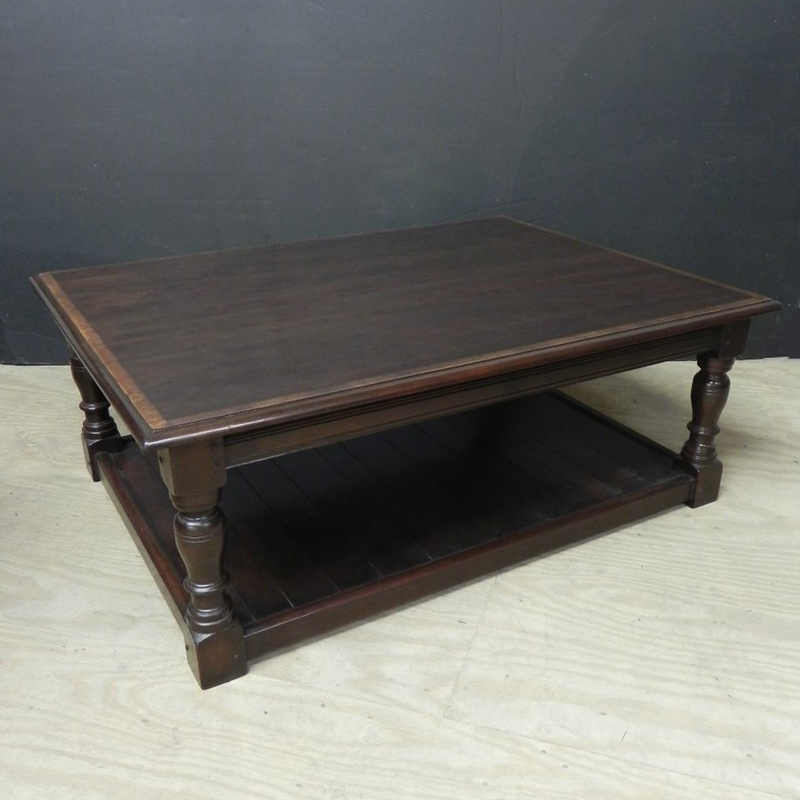 Mid Cherry finish, cross banded cricket table. 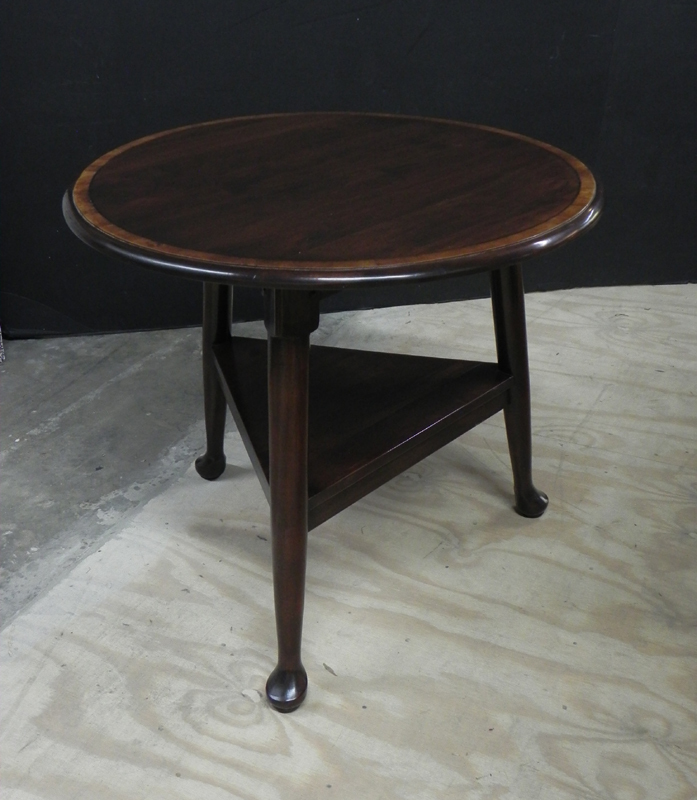 Mid cherry finish, yew wood banded 38" round pad foot table. 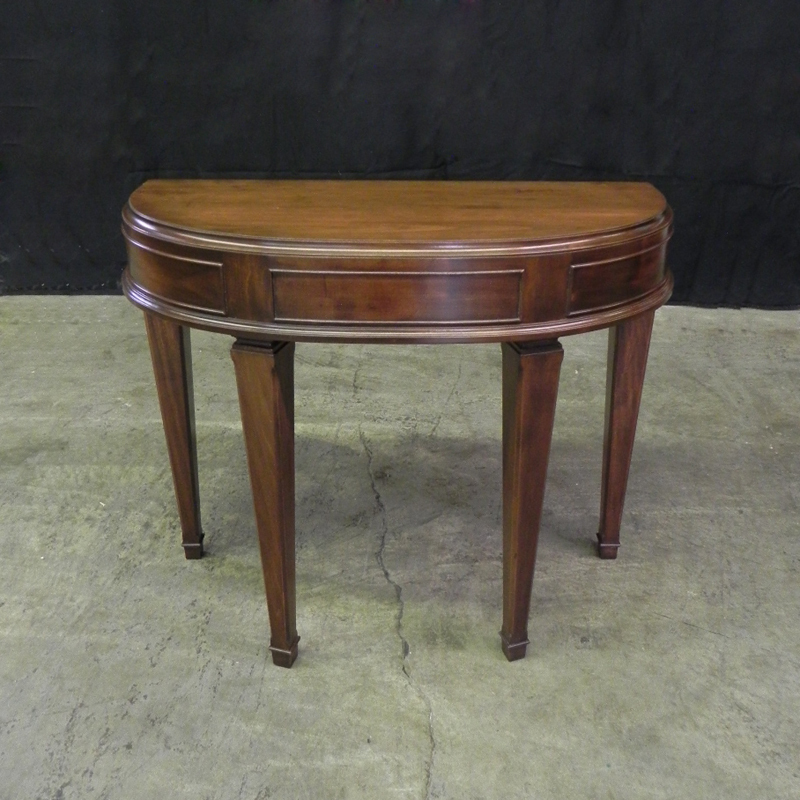 Mid cherry finish, yew wood banded 30" square French leg table. 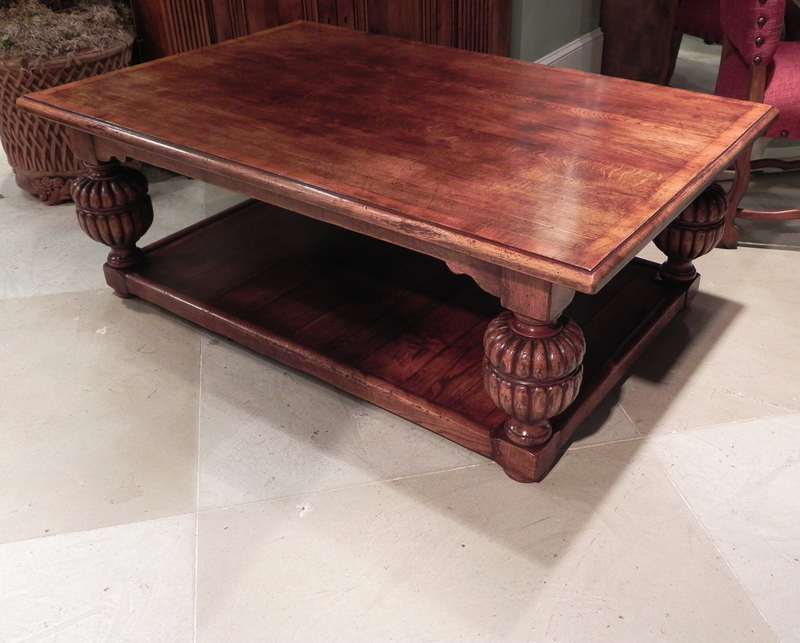 Antique oak finish, yew wood banded 30" square pad foot table. 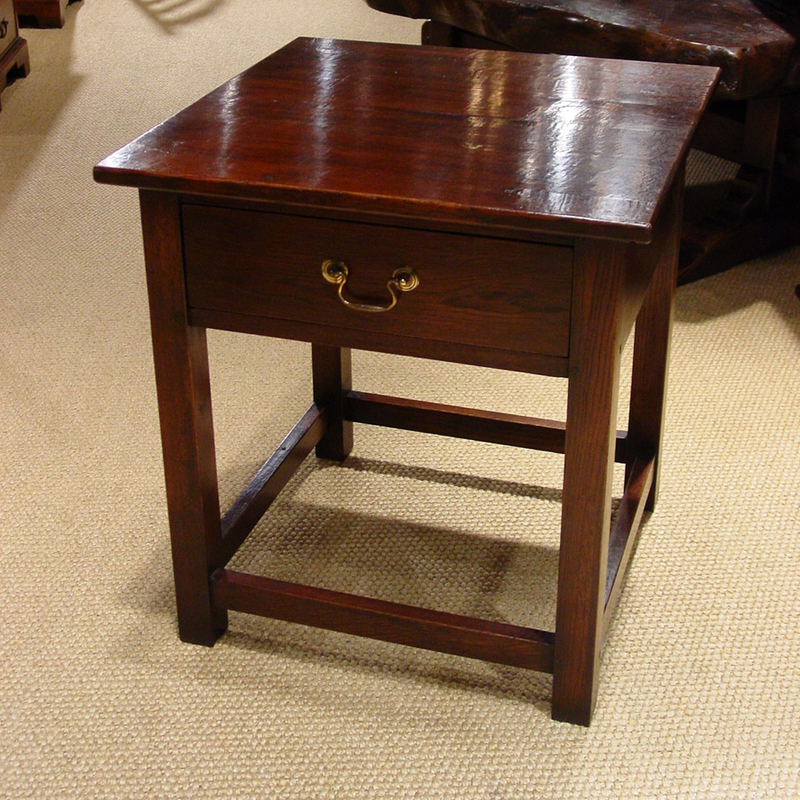 Mid cherry, cross banded tall square potboard end table with drawer. 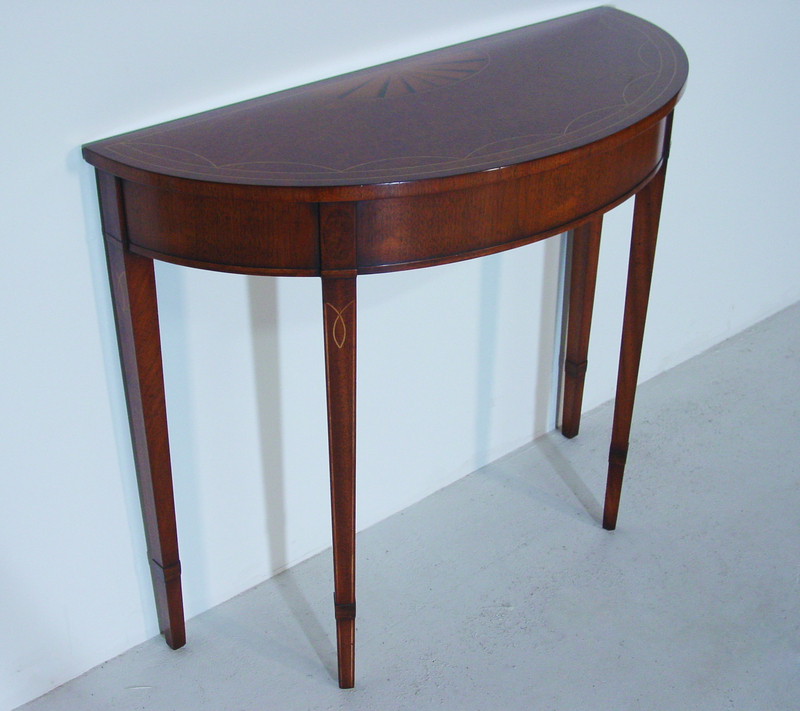 Walnut veneer, fan inlaid demi lune console table. 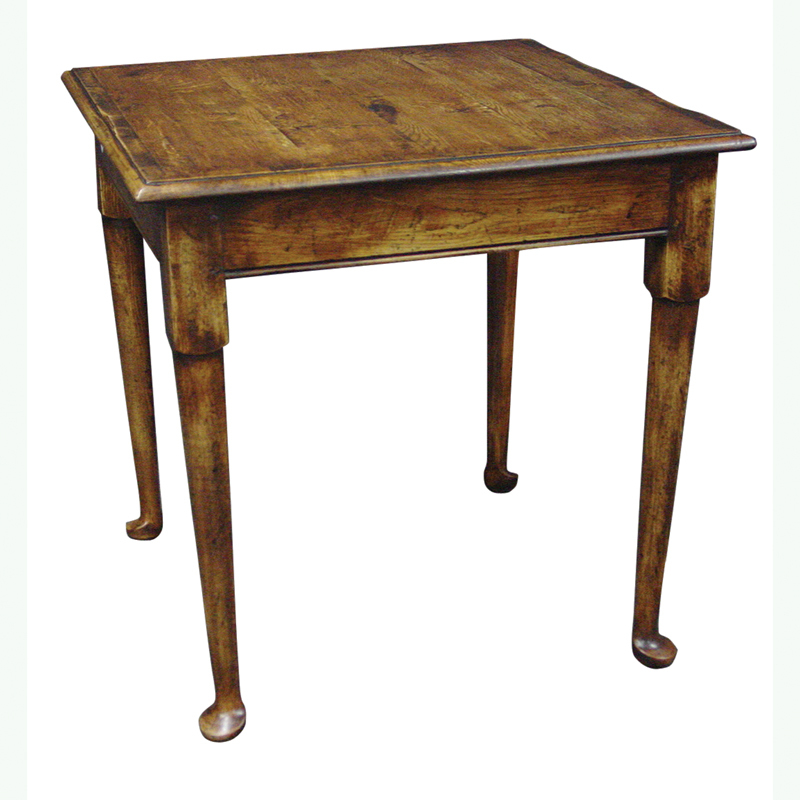 This demi lune is hand made in England by skilled craftsman.